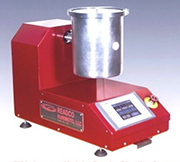 We excel in powder blending, without cross contamination, and decreased downtime due to cleaning. Scott Process can help you with your precise powder blending, and particle reduction and if you need to add liquid as well, we can do that too. Serving northern New Jersey, the lower counties of New York and Connecticut, NYC and Long Island. Since 1989, Scott Process Equipment has helped customers in the Bio-Pharm, Pharmaceutical, Chemical, Food & Beverage, Industrial, Personal Care, Cosmetic, Plastic and Polymer industry solve design problems. Scott Process Equipment Corp offers a robust product line, proudly representing pump, mixer, homogenizer, powder blender, sensor, controller, scale, valve, filling system, polymer test equipment, strainer, and heat transfer equipment manufacturers. Engineers first, the sales team is focused on finding the right process equipment or an integrated system for your unique application.